Jaiden Henry is finishing up 2018 like a boss and he is only 10 years old. His inspirational journey has been spreading and the positive stories are pouring in every day of how he touched the lives of others by his words and actions. He is Vice President and CO Founder of Kid Possible Worldwide that challenges the minds and hearts of others to make amazing happen. He has also written a chapter book about his journey leading projects helping others and includes amazing inspirational leaders that helped shape him into the young leader creating a positive future today. He loves to share his story and wants to inspire others that no matter their age or size they too can make a positive difference! Jaiden did his first international online radio interview with Tabernacle Radio on Thurs. Dec. 6th, 2018 where he talked about his 3 current projects he is doing this month. He is collecting over 2,000 toys to return to the 3 hospitals he was once sick in and be the volunteer someone once was for him. He also gives back toys to military families in need for the holiday. He knows that some families have it rough and wants to make sure no kid is without a toy this holiday season. This is his 5th year doing his Toy Drive. He is also reaching out and working to collect Warm Winter items for the homeless. Jaiden will be joining to support Social Works and Chance the Rapper’s, A Night at the Museum on Dec 20th, where they will be collecting 10,000 Warm Winter items for the homeless! Jaiden also teamed up with All Kids Matter Foundation again after the last heavy storms came through and left many Chicago homeless families with torn tents from the strong winds. Jaiden has decided to step up and reach out to collect at least 6 tents for all the families in need. He says if everyone helps do a little, we can do a lot!. Jaiden is doing big things to motivate others and provide them with an opportunity to do something positive. We need to be the light in others day and the more positive events that we have the more ways others can join in and help us make an even bigger difference. So Jaiden challenges you to make something awesome happen today, just because. You can help support us in one of our projects, donate to our mission, or reach out to someone in your day and make them smile. Make Amazing Happen! Send Jaiden a positive message he would love to hear from you. 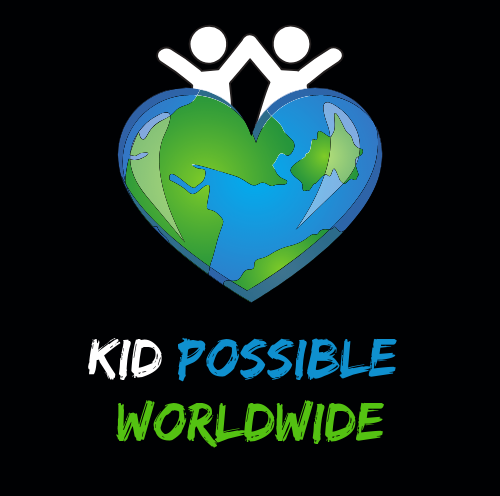 Next Kid Possible Worldwide helped collect over 600 items to assist SocialWorks and All Kids Matter Foundation with a total of over 16,000 items donated to the Homeless!